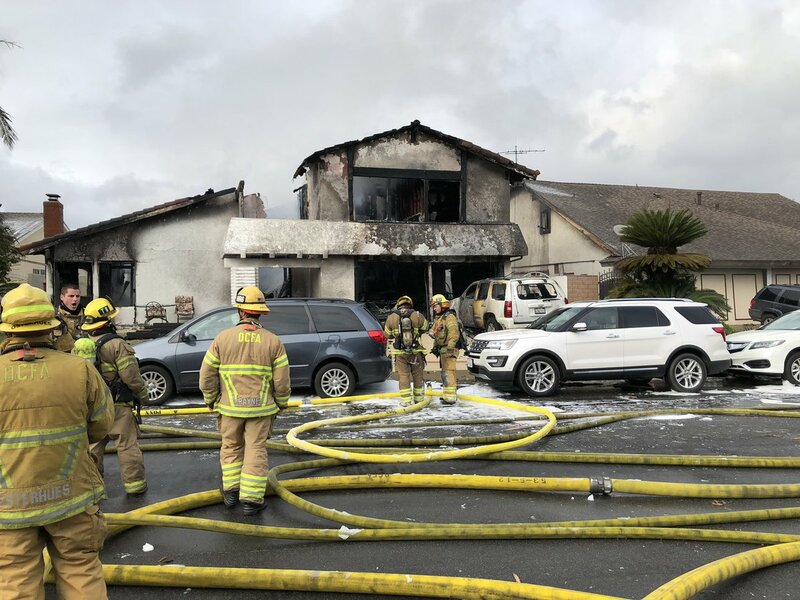 The 75-year-old man killed when the small plane he was piloting crashed into a house in Yorba Linda, killing four people gathered to watch the Super Bowl, had twice been disciplined by authorities for unsafe flying, the Los Angeles Times reported Friday. The Federal Aviation Administration suspended the license of Antonio Pastini in 1977 and 1980, according to The Times, which cited records kept by the Library of Congress. Pastini put in name changes with the FAA — from Jordan Albert Isaacson to Jordan Ike Aaron in 1991 and in 2008 to Antonio Peter Pastini, an FAA spokesman told The Times. The first suspension — for 120 days — came after he flew in cloudy, icy conditions from Las Vegas to Long Beach and lied about his credentials. The second was because his plane was not up-to-date on inspections, had an expired temporary registration and was leaking brake fluid, according to The Times. The second suspension was for 30 days. Pastini’s 1981 twin-engine Cessna 414A nose-dived onto the 19000 block of Crestknoll Drive at 1:45 p.m. Sunday, about 10 minutes after departing from Fullerton Municipal Airport, according to National Transportation Safety Board Investigator Eliott Simpson. Radar data indicate the plane made a left turn and climbed 7,800 feet before crashing into the two-story home, leaving the cabin in a ravine behind the house and debris scattered over four blocks, Simpson said. Pastini, who was flying solo, died at the scene, as did the four people in the home, Orange County Sheriff’s Lt. Cory Martino said. The bodies of the four occupants of the home were badly burned, delaying their identification. An investigation was continuing into the cause of the fiery crash.